Kernow Fires are suppliers of the Dru Cosmo Tunnel Eco Wave in Cornwall. 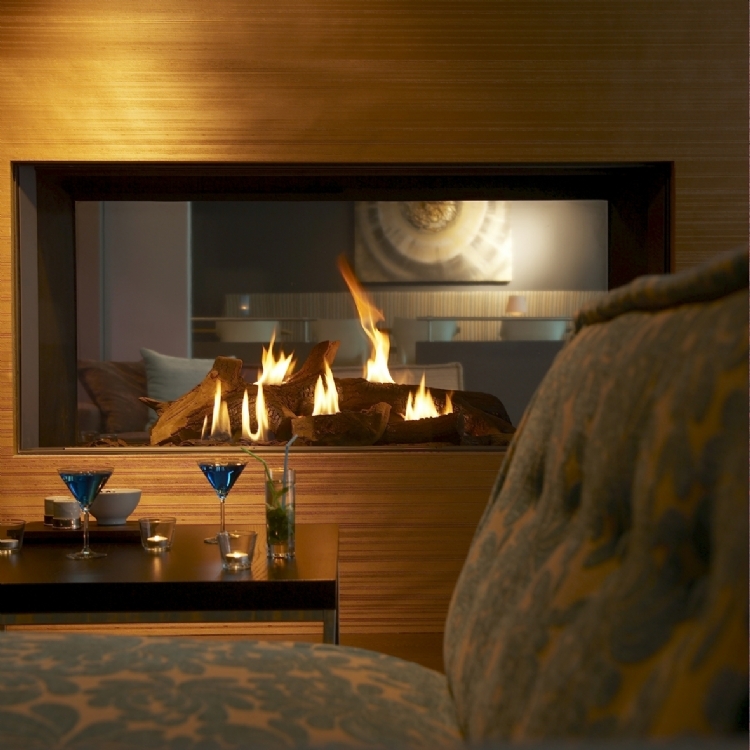 Cosmo is a substantial and inspirational gas fire designed for large homes, spacious apartments and even hotels and restaurants. It is a 1.8 metre wide balanced flue fire with a massive 17.5 kW heat output. It has a large and authentic log fire display and can be installed into a wall or combined with matching fire surrounds and hearths as shown in the picture. Cosmo and Cosmo Tunnel are Slim Line II models. This means they are completely frame less with uninterrupted views of the fire interiors. They are operated by remote control and feature the famous DRU flame picture powered by Vario Burner®. This fire is also available with Clear View (anti-reflective) glass. Both Cosmo models have ‘wow’ factor in abundance and are not fires for the faint-hearted.